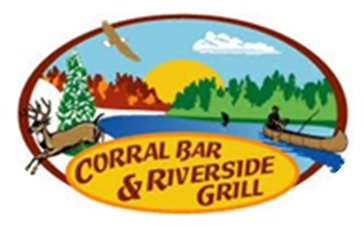 At Corral Bar and Riverside Grill, you’ll enjoy working in a fun, supportive environment that makes you feel like part of our family. We are always accepting resumes and applications for servers, cooks and bartenders! Fill in as much of the information as possible on the PDF application. Email it to us at corralriverside@nelson-tel.net or drop it off at our location.